Guaifenesin Protocol is a popular, experimental, alternative treatment for fibromyalgia proposed in the 1990s by R. Paul St. Amand, MD. The treatment involves three parts: titrating to the proper guaifenesin dosage, avoiding salicylates, and following a low carbohydrate diet if the patient is hypoglycemic. Guaifenesin has not been approved by the FDA for the treatment of fibromyalgia, and the protocol has not been shown to be effective in clinical trials as of 2005. It has been adopted by many due to anecdotal evidence of success. Guaifenesin is an expectorant drug usually taken orally to assist the expectoration (“bringing up”) of phlegm from the airways in acute respiratory tract infections. 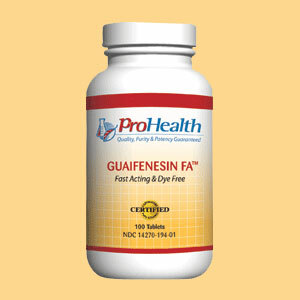 Proponents of the guaifenesin protocol believe that it cures fibromyalgia by removing excess phosphate from the body. Salicylic acid in even tiny amounts blocks guaifenesin from binding in the kidneys. It is present in many drugs such as aspirin, Salsalate, Disalcid, Anacin, and Excedrin. 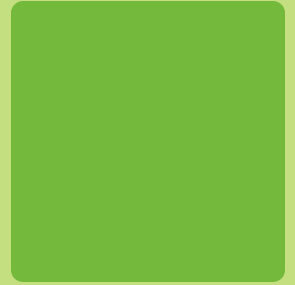 Plants produce salicylic acid, so herbal medications must be avoided as well as plant oils, gels and extracts in cosmetics and any product that touches the skin. These ingredients include aloe, castor oil, camphor, and mint. Any plants can be eaten, however, because the small amount of salicylic acid present in food is broken down in the digestive system and tagged with glycine by the liver before reaching the kidneys. Many symptoms of hypoglycemia are similar to fibromyalgia, and while leaving hypoglycemia untreated will not hinder the reversal of the disorder with guaifenesin, the symptoms will continue to plague the patient. The only treatment is a life-long avoidance of simple sugars, caffeine, starchy foods, and any other foods that cause insulin spikes. Just avoiding salicylates is sufficient for treating fibromyalgia. The Guaifenesin Protocol mostly just seems to be a gimmick to scare people into actually following a salicylate free diet — people are not rational, and are more willing to believe in magic pills and quick fixes than in lifestyle change. It’s easier to sell them on the idea of Guaifenesin + a restricted diet than just the diet alone… even though it does seem to be the diet that actually helps. That’s very interesting Ruth! I wish more people would comment on this. This is the first I heard it. I’m always interested in healing diets that work. WHAT ALOAD OF HOGWASH!! you dont know what your talking about do to the Guai protocol YOU DONT NEED TO FOLLOW A salicylate free diet AT ALL! just stay away from MINT!! Please, let’s keep comments respectful of others even if we don’t agree with them. Thank you!! The GuaiProc as researched and developed by Dr Amand, very clearly states that you need to avoid all types of Salicylic Acid (both dietary and cosmetic.) The reason being it adapts the ATP cycle, which is the exact sane thing he is trying to affect via Guai in the liver. As to the effectiveness of Guai I cannot comment, my FM is best controlled through a Salicylate free diet and a very low carbohydrate / high natural fats & protein diet. For me mint (methyl salicylate) is a day in bed, picking up the wrong shampoo (benzyl salicylate) is a week in bed and taking an Aspirin/Advil (Salicylic acid) is a trip to hospital. I could list out the many other firms of Salicylate on the market, some of which like Benzyl look like they are going to be banned due to their long term effects on the endocrine systems of all people not just FMS.